In County Armagh, 1981, in the midst of The Troubles, the Carneys' annual harvest is disrupted by some shocking news which opens old wounds and threatens to tear the family to pieces. Setting up its IRA mobster antagonist Muldoon in a succinct and sinister opening scene, Jez Butterworth's script quickly shifts focus and hones in on the Carney family farmhouse, the murmuring heart of the play. As the first rays of sun start to pierce the horizon, Quinn Carney, the rugged patriarch spars playfully with witty and waiflike Caitlin as the pair swig whiskey and play Connect Four. They seem to exist in a sort of dreamlike twilight. As music soars on the radio, the pair abandon their game and dance together, swaying unsteadily in each other’s arms. They break apart and Quinn watches on lovingly as his companion dances dreamily on her own. And then one of Quinn’s children marches downstairs. Daylight floods into the Carneys' kitchen and Caitlin and Quinn return to earth as one by one the Carney children descend like a gaggle of unkempt Von Trapps. They are followed in time by Quinn's wife Mary, a gaunt and spectral presence. It's harvest day, and three of Quinn's nephews, the Corcorans, are heading down from Derry to lend a hand with the farm work. As visitors descend on the bustling home, a familiar face arrives to tell Quinn that his missing brother, Caitlin's husband Seamus, has been excavated from a peat bog with a bullet in his head, having been 'disappeared' by the IRA 15 years earlier. The play begins as a kitchen sink drama, tying knots of unrest into the seemingly idyllic Carney family members' lives. Aside from the implied love triangle between Quinn, Caitlin and Mary, act one introduces a whole host of characters. Uncle Pat down drinks and quotes Virgil, and Aunt Maggie Far Away awakens from catatonic trances to sput prophecies and sing ancient haunting melodies. And then there's Aunt Patricia. A staunch republican who spends the majority of her time with her ear glued to her radio, spitting venom as she keeps her family updated on the proceedings of the Irish hunger strikes. She curtly snubs Caitlin and her son Oisin, as well as Englishman Tom Kettle, who has lived in Ireland and been a friend of the Carneys for most of his life. 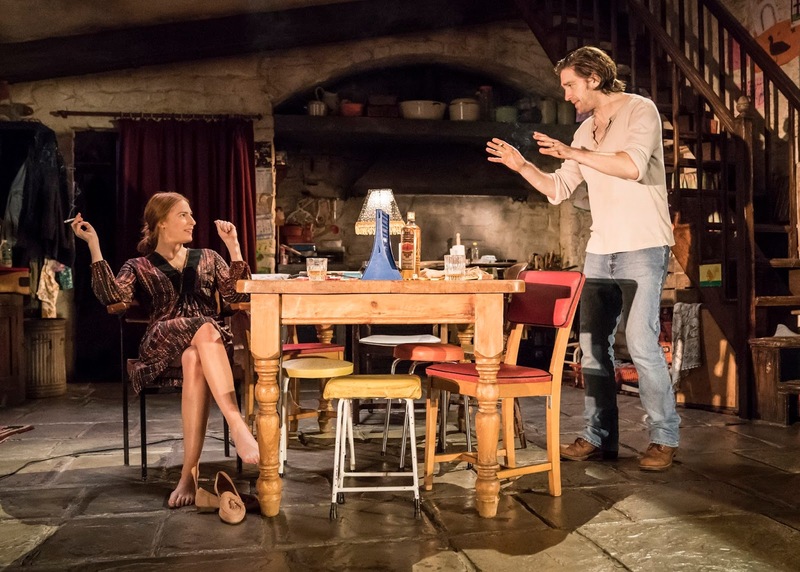 Playwright Jez Butterworth sews so many seeds in the first act that at times it feels like the story may never come into bloom, but once everything is in its right place the plot begins to germinate, and putrefying echoes from the past start to poison the pastoral oasis. Butterworth is a master storyteller, there’s no doubt about that. The Ferryman peaks in its third act, when the Carney and Corcoran boys drink from the bottle in the early hours, and share Troubles war stories. There's a crackling undercurrent of tension which sets into motion the events which lead up to The Ferryman's explosive last gasp. Owen McDonnell gives a masterfully understated performance as the Carney Patriarch, hiding a dark edge under his genial persona. As the steadfast Caitlin Rosalie Craig is equally interesting to watch, as the festering wound caused by the disappearance of her husband is ripped open wider and wider. The younger generation is also well presented. The dynamic between the fresh-faced Armagh boys and their hardened Derry cousins is perfectly pitched, with Sean Delaney's Michael Carney and Terence Keeley's Dermaid Corcoran bouncing off one another, whilst Kevin Creedon's dutiful JJ reacts with disdainful horror. Perhaps the most fascinating figure, though, is Francis Mezza as Shane Corcoran. With his glossy haircut and nifty bell bottoms (very 1981) he cuts a sleek shape, smirking as he recounts assisting with a car bombing plot, and guarding a door whilst some IRA mobsters beat up one of their own on the other side. He even shows off a silver chain, taken from round the neck of the boy he helped to bring down. But as the harvest night wears on and his cousins recoil at his blood lust, his vainglorious mask starts to slip away. Under the direction of Sam Mendes, The Ferryman is a deliciously crafted piece of theatre, which creeps slowly but surely towards its inescapable denouement. Peter Mumford's lighting design perfectly encapsulates the warm sepia tone of Quinn Carney's metaphorical castle, worlds away from the dull and icy meeting spots of Muldoon and his IRA heavies, and Rob Howell's set design is a marvel of intricacy. Sure, with a running length of over three hours the story occasionally feels self indulgent, and constant talk of Faeries and Banshees can see characters veering towards the stereotypical at times, but at the end of the day The Ferryman is an enthralling story which will play on the mind long after it is over. 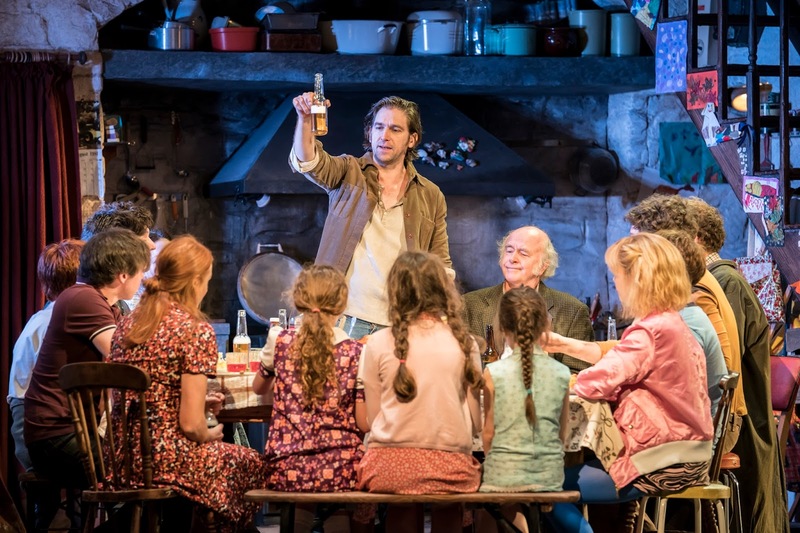 I was invited to review The Ferryman thanks to www.londonboxoffice.co.uk.